Posted in: 6 The Movie Corner. Tagged: Alwyn Uytingco, CCP Main Theatre, Cinemalaya 2011, Diego Castillo, Diether Ocampo, Glaiza de Castro, Jason Abalos, Ketchup Eusebio, Matet de Leon, Quark Henares, Rakenrol. 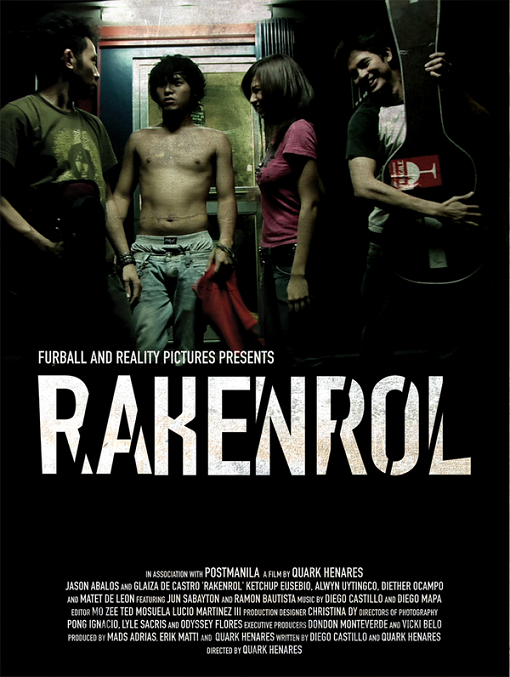 The closing film of Cinemalaya 2011 is Quark Henares’ “Rakenrol“. Before Quark goes on a long sabbatical from filmmaking to pursue higher studies in the US, he offers this movie that deals on the Filipinos’ love for music, love for life, and love for love. At first glance, it looks like something tailor made for the rock-and-roll persona in all of us. But I think it actually goes beyond that and delves deeper on the angst-ridden airwaves running through the minds of the youth (35 years old and below) while experiencing the joy & pain of pure love. 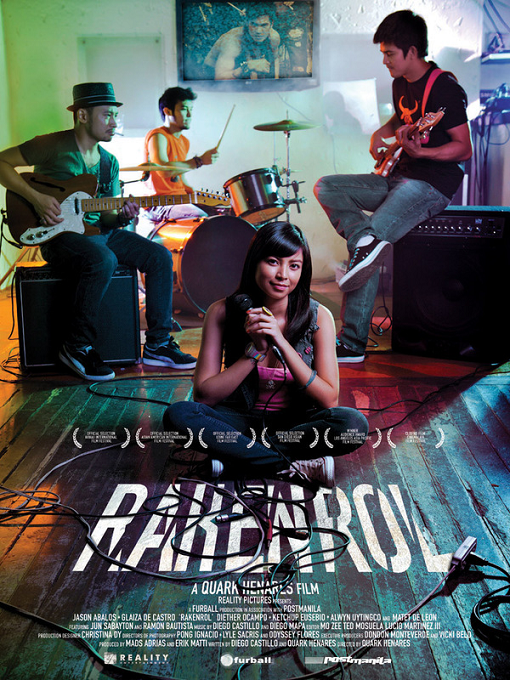 “Rakenrol” stars Jason Abalos, Glaiza de Castro, Diether Ocampo, Alwyn Uytingco, Ketchup Eusebio and Matet de Leon. 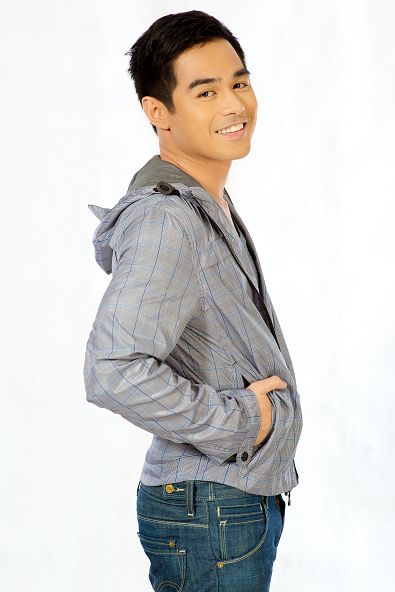 Director Quark Henares collaborated on the screenplay with Diego Castillo. It will be screened at the CCP Main Theatre on July 23, 9pm. If you want to watch, good luck with getting a ticket because it might be close to sold out by now. But I’m sure it will have post-festival limited runs either at Greenbelt or the other multiplexes in the metro. Posted in: 6 The Movie Corner. Tagged: Alchris Galura, Carlo Aquino, Cinemalaya, Earl Ignacio, Glaiza de Castro, I-libings, Louella de Cordova, Marc Abaya, Rez Cortez, Rommel Sales. First off, how do you read the title “I-libings”? It could mean “to bury” if spoken as “ilibing“. On the other hand, it could also refer to a play of letters (e.g. iPod or iMac or iPad) that makes the word sound like an electronic advancement by way of funeral/burial videography. However which way you read it, the movie certainly makes for a curious watch during Cinemalaya 2011. A coming of age story about Isabel’s lessons and realizations on life and death as a funeral videography intern. Due to her family situation, Isabel is cynical and skeptical of everything that comes her way. When she enters the I-libings for her required college internship, she sees it as the worst internship her college adviser could suggest to her. Later as she accumulates her required hours, she realizes that the company is not just a place where videographers make money out of other people’s misfortunes but is a place where the dead and the grieving receive special attention. It all comes full circle when Isabel is faced with an unusual family tragedy. Isabel realizes that her internship might have been just 200 hours, but the lessons that the I-libings left her would last a lifetime. The dramedy is directed by Rommel Sales and stars Glaiza de Castro as Isabel. She is joined by Marc Abaya, Carlo Aquino, Rez Cortez, Alchris Galura, Louella de Cordova and Earl Ignacio. Posted in: 2 Shout-out-Looks, 6 The Movie Corner. Tagged: Alessandra de Rossi, Allen Dizon, Ang Sayaw ng Dalawang Kaliwang Paa, Angel Aquino, Angeli Nicole Sanoy, Anita Linda, Bembol Roco, Busong, Cherry Pie Picache, Ciara Sotto, Cinemalaya 2011, Cultural Center of the Philippines, Glaiza de Castro, Greenbelt 3, Immanuel, Isda, Jean Garcia, Marvin Agustin, Patikul, Paulo Avelino, Ping Medina, Rocco Nacino. 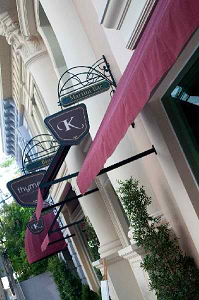 Thirty one new digital films will compete in the 2011 Cinemalaya Independent Film Festival in Manila from July 15 to 24, 2011. Now on its seventh year, Cinemalaya is a project of the Cinemalaya Foundation, Cultural Center of the Philippines (CCP), Film Development Council of the Philippines and Econolink Investments, Inc. It is an all-digital film festival that aims to discover, encourage and honor cinematic works of Filipino filmmakers that boldly articulate and freely interpret the Filipino experience with fresh insight and artistic integrity. Cinemalaya’s main competition categories are the New Breed full feature category and the Short Feature category featuring works by new directors. The Directors Showcase is a competition for works by established directors. Nine films will compete in the New Breed full length feature category; ten in the Short feature category and four in the Directors Showcase. Competing in the New Breed category are: Amok (Amok) by Lawrence Fajardo; Ang Babae sa Septic Tank (The Woman in the Septic Tank) by Chris Martinez; Ang Sayaw ng Dalawang Kaliwang Paa (The Dance of Two Left Feet) by Alemberg Ang and Alvin Yapan; Baby Factory by Eduardo W. Roy, Jr. and Jerome Zamora; Cuchera by Joseph Israel M. Laban and Janice O’Hara; I-libings: Your Loss, Our Luck (E-funerals) by Rommel Andreo Sales; Ligo na U, Lapit Na Me by Noel Ferrer, Jerry Gracio and Erick Salud; Niño by Loy Arcenas; and Teoriya (Father’s Way) by Alistaire Christian E. Chan. The nine finalists of the New Breed Full Length Feature category each received a P500,000 seed grant from the Cinemalaya Foundation as investment for the production. The Best Full Length Feature Film will receive a prize of P200,000 and the Balanghai Trophy. The New Breed Full Length feature category is open to Filipino filmmakers who have not yet directed more than three full feature films. The ten finalists in the Short Feature category are: Oliver’s Apartment by Misha Balangue, Hanapbuhay (Source of Living) by Henry Frejas, Un Diutay Mundo(one Small World) by Ana Carlyn V. Lim, Immanuel by Gabriel “Gio” Puyat, Hazardby Mikhail Red, Walang Katapusang Kwarto (An Endless Room) by Emerson Reyes, Debut by Pamela Llanes Reyes, Samarito (Smaritan) by Rafael L. Santos,Every Other Time by Gino M. Santos, and Nino Bonito by Rommel “Milo” Tolentino. The winner of the Short Feature Category will receive a prize of P100,000.00 and the Balanghai trophy. The four finalists in the Directors Showcase are: Bisperas (Eve) by Jeffrey Jeturian; Busong (Palawan Fate) by Auraeus Solito; Isda (Fable of the Fish) by Adolfo Alix Jr. and Patikul by Joel C. Lamangan. The finalists of the Directors showcase each received a P500,000 seed grant from the Cinemalaya Foundation. The Best Film in the Directors Showcase will receive a prize of P300,000 and the Balanghai Trophy. The Directors Showcase is open to full length feature works by Filipino directors who have directed at least three full-length commercial feature films. For the first time, this year’s Cinemalaya Festival will include a section called Focus Asia that will feature eight independent works by Asian directors. Other sections of the Cinemalaya are the NETPAC Philippine Premieres with eight competing films, Ani (a harvest of the best Filipino Indie Films of the past year), Kids Treats (indie films for children) and Midnight Specials (indie films with adult themes). Cinemalaya will also organize the Cinemalaya Film Congress and other film related events such as the Sine Taktakan (forum with 2011 Cinemalaya filmmakers), lectures and exhibits. Posted in: 5 TV Tales. Tagged: Amaya, Epicserye, Gardo Verzosa, Gina Alajar, Glaiza de Castro, GMA-7, Lani Mercado, Mac Alejandre, Marian Rivera, Mikael Daez, Raymond Bagatsing, Rochelle panglinan, Sid Lucero. Marian Rivera stars as Amaya in Philippine Television's Grandest Epicserye ever. Bar none, “Amaya” is the biggest and most expensive Philippine-produced TV series aptly called an “epicserye“. GMA-7 made sure that no stones are left unturned in coming up with a production that will set a new trend in television viewing. So far, hundreds of millions in pesos have already been spent in meticulously detailing the various sets in three different locations, designs, costumes, plus a cast committed to making this one of the most unforgettable Pinoy series ever. 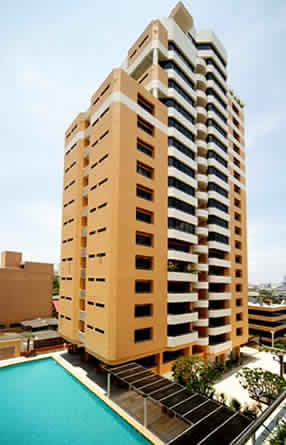 Historians from the University of the Philippines also collaborated to insure the accuracy and authenticity of the same. 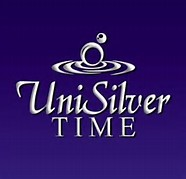 Marian Rivera stars as Amaya, together with leading men Sid Lucero and Mikael Daez. The supporting cast includes Glaiza de Castro, Gina Alajar, Raymond Bagatsing, Gardo Verzosa, Lani Mercado, Rochelle Pangilinan and more. 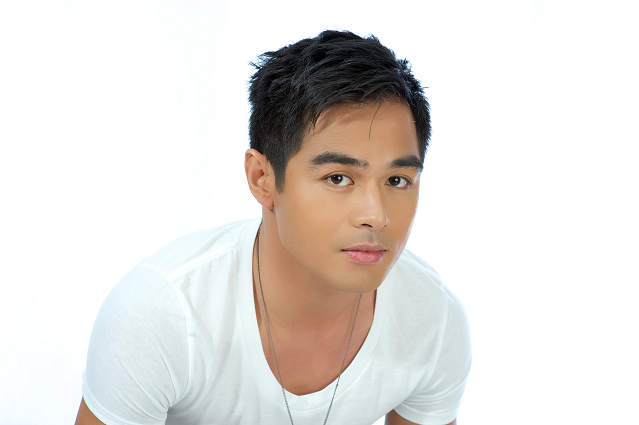 At the helm is Director Mac Alejandre. 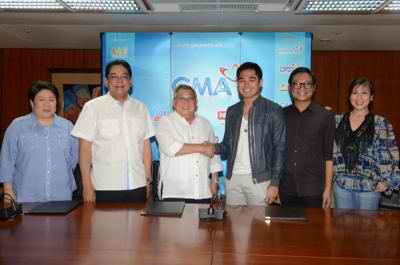 “Amaya” will have its premiere on May 30 on GMA-7’s Telebabad primetime block.